Vivo V15 Pro to go Official on February 20 - Playfuldroid! Vivo India has confirmed that it will be announcing a new product on Feb. 20. Since multiple reports have claimed that the Chinese manufacturer will be debuting the Vivo V15 series by the end of the coming month, it appears that the company will be launching the rumored V15 and V15 Pro handsets on the said date. 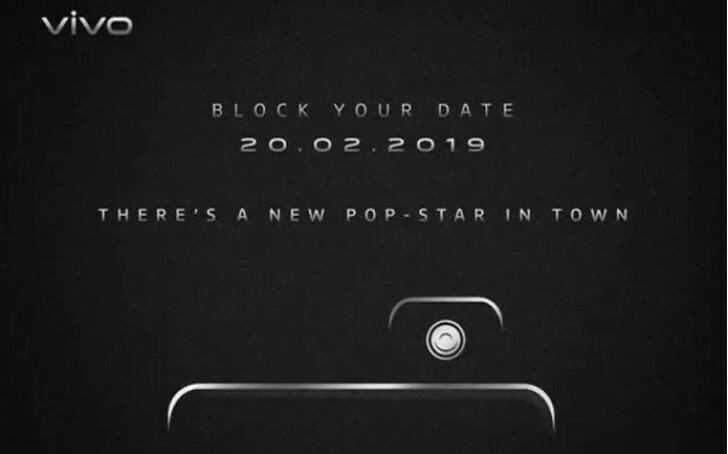 The launch teaser does not reveal any information on the specs of the phone that will be unveiled on Feb. 20. However, it reveals a vital information that the upcoming smartphone will be equipped with pop-up selfie camera. Rumors surrounding the Vivo 15 and Vivo V15 Pro have claimed that both phones will be arriving with pop-up selfie shooters. The Vivo V15 Pro and V15 handsets are expected to arrive with notch-less AMOLED screens equipped with in-display fingerprint readers. These phones may respectively feature triple and dual rear cameras. The rear-mounted camera module for both phones are expected to be equipped with 32-megapixel primary sensor. In India, the Vivo V15 could be priced under Rs. 25,000 (~$351) whereas the V15 Pro may cost under Rs. 30,000 ($421).